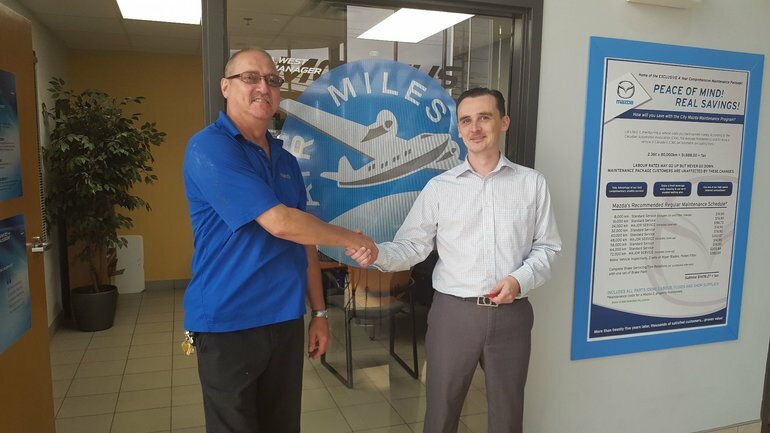 August Pre-Owned Car purchase winner of 5000 Air Miles, Wes Pickles (left) and Pre-Owned car Manager Dave Baker (right). Congratulations Wes from everyone here at City Mazda! !